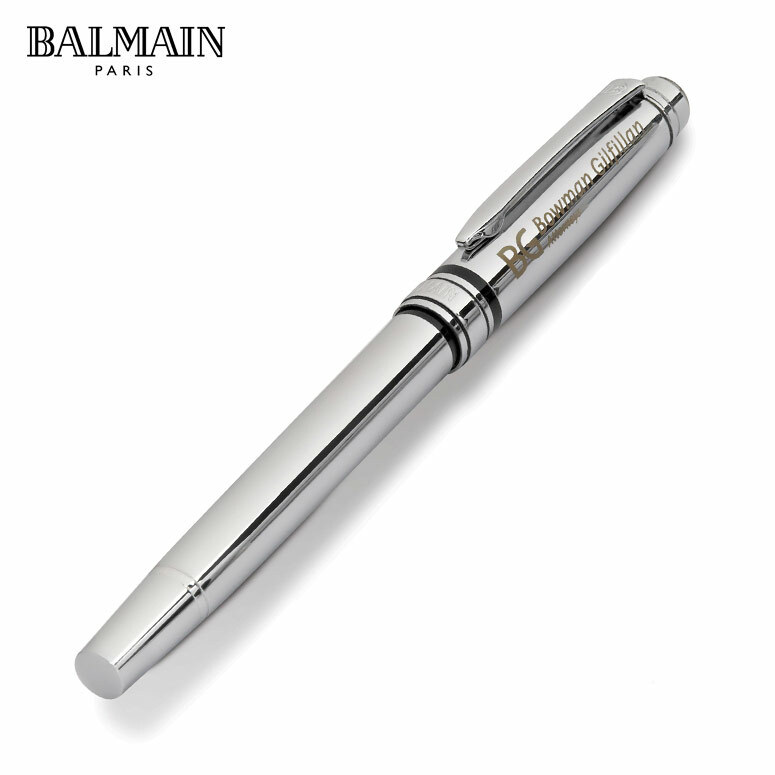 The wonderful Balmain Tactical Rollerball Pen is a sleek and sophisticated pen for the executive clients or staff members. 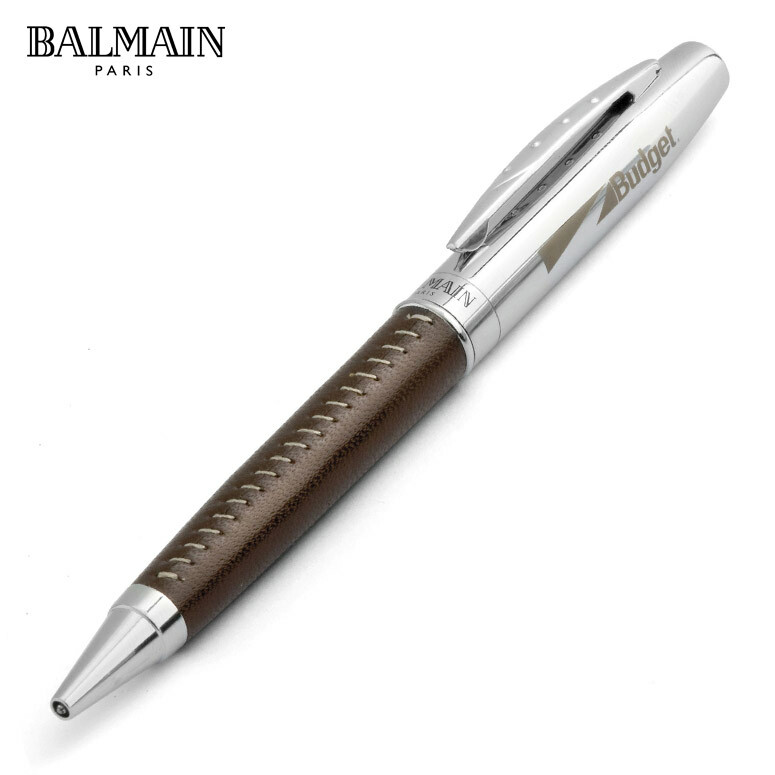 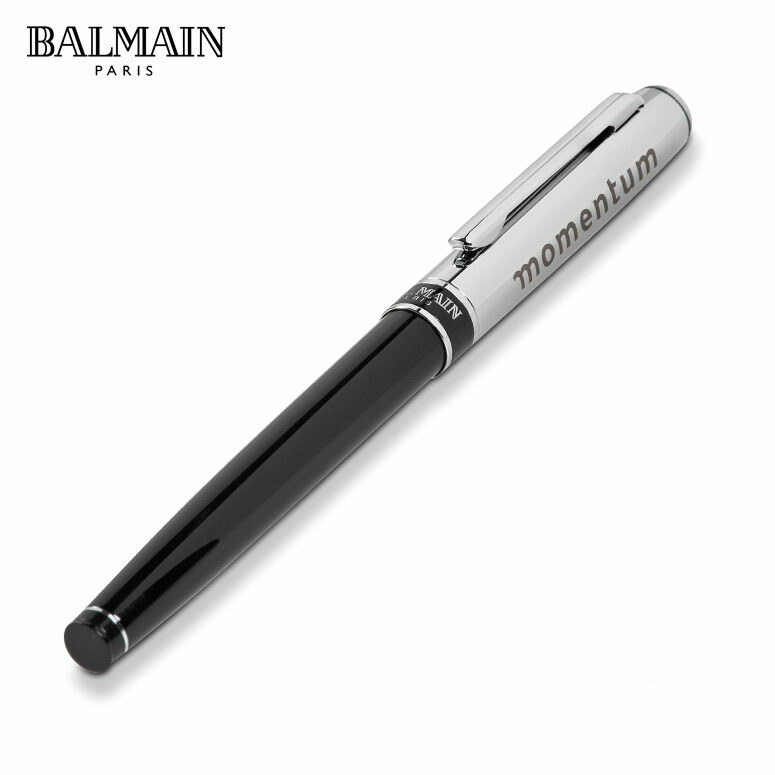 A stylish two tone design perfect for the more personal promotional gift, the Balmain Roller Pen is something special for clients and staff members alike. 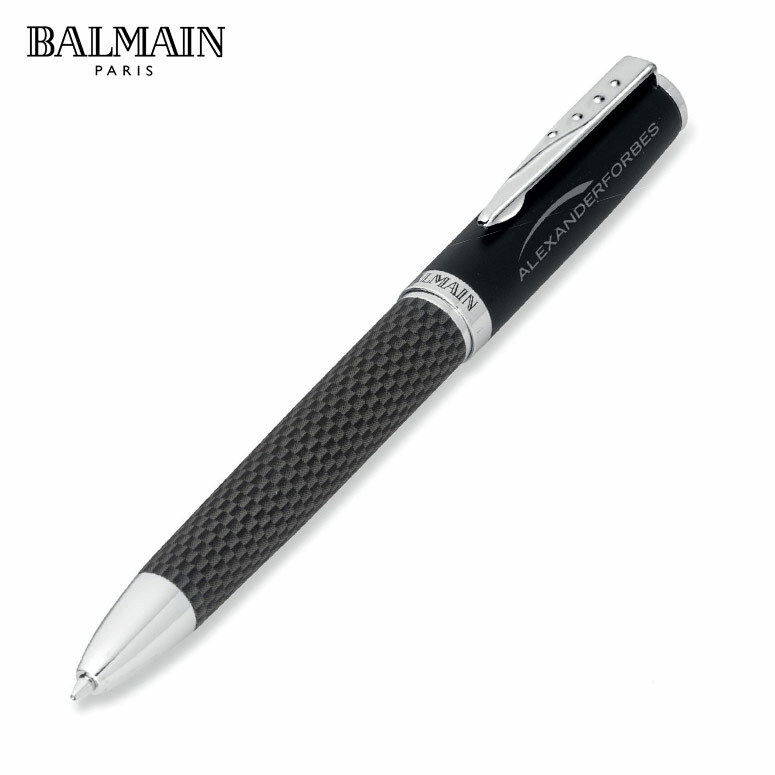 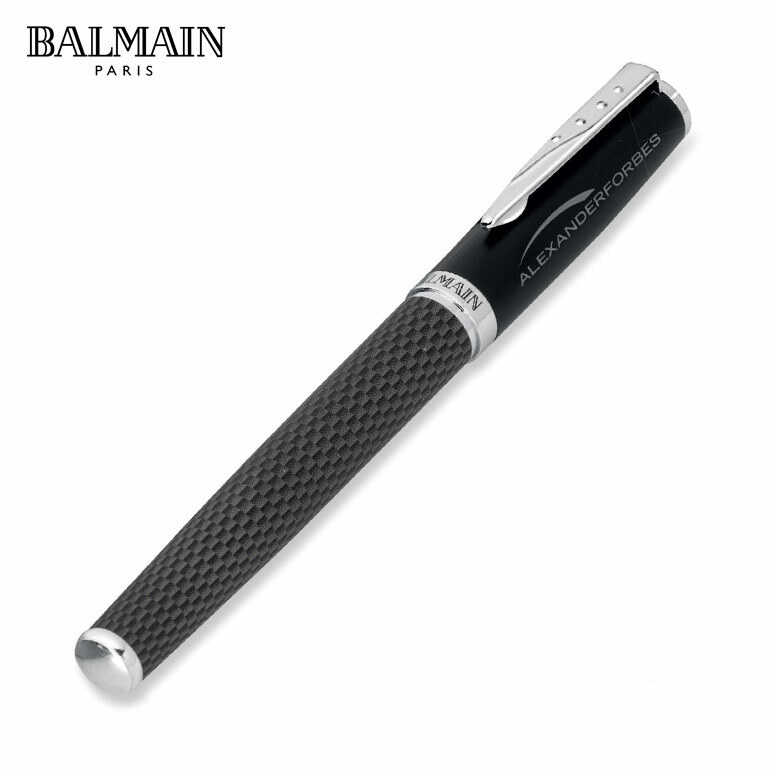 This stunning Balmain Paris pen with its branded clip area and uniquely designed diamond-cut style barrel, is a great looking gift that is sure to be used and enjoyed at great length. 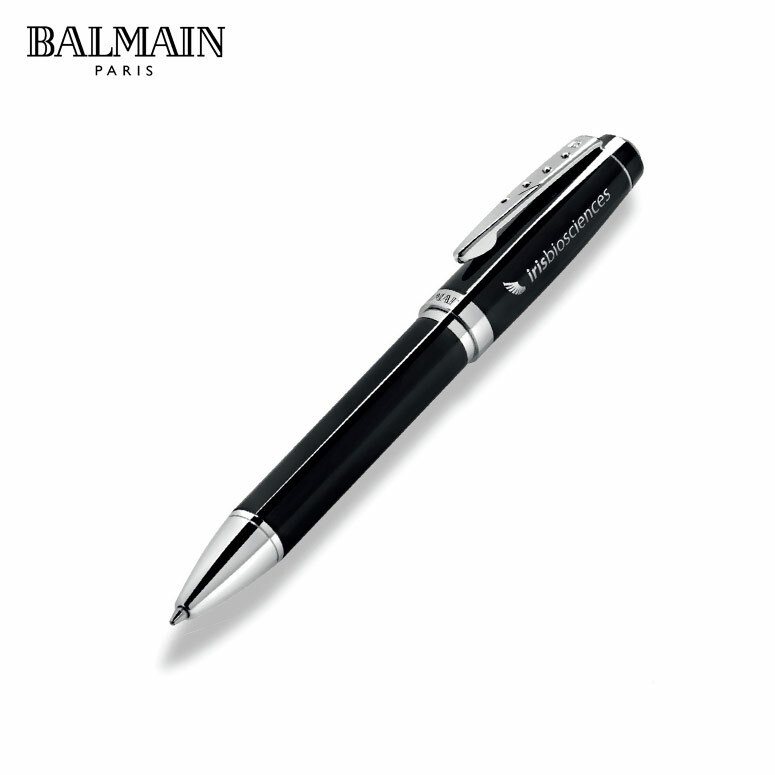 The perfect desk top marketing tool, this serves an everyday purpose whether at work, university or home. 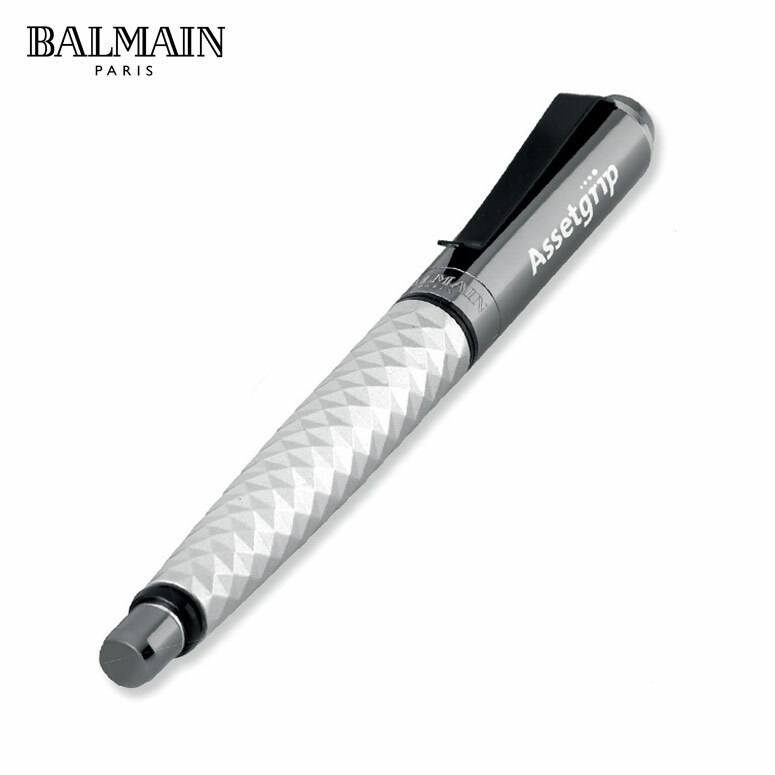 A gift that looks awesome with an engraved logo on the upper barrel, the Balmain Tactical Rollerball Pen is a combination aluminium and polished chrome aspects, rounded off with a gloss lacquer for that added finish. 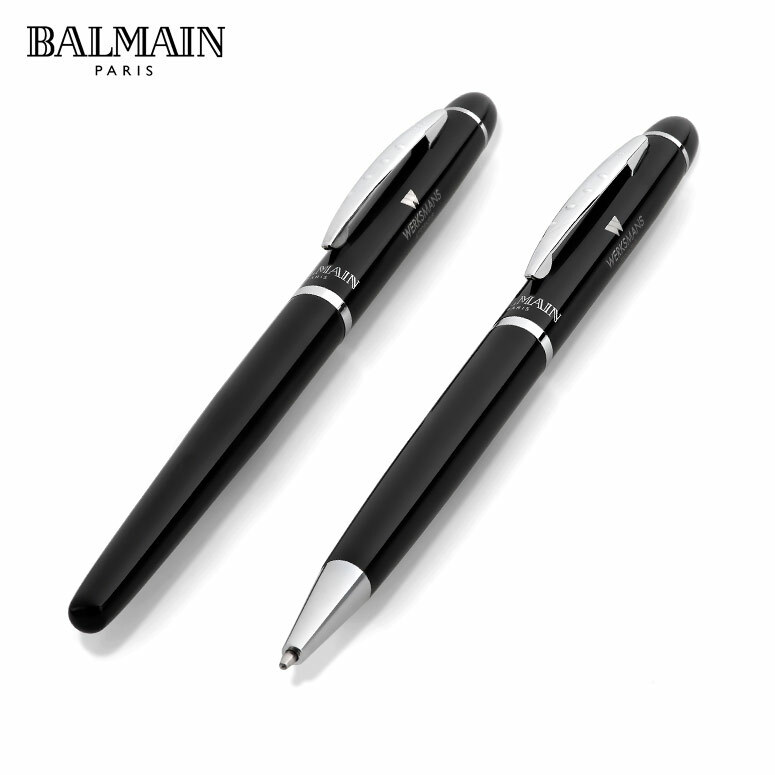 The perfect gift for the executive client, these significant pens are a symbol to recipients, showing not only how the company values them, but also as recognition for the work they do. 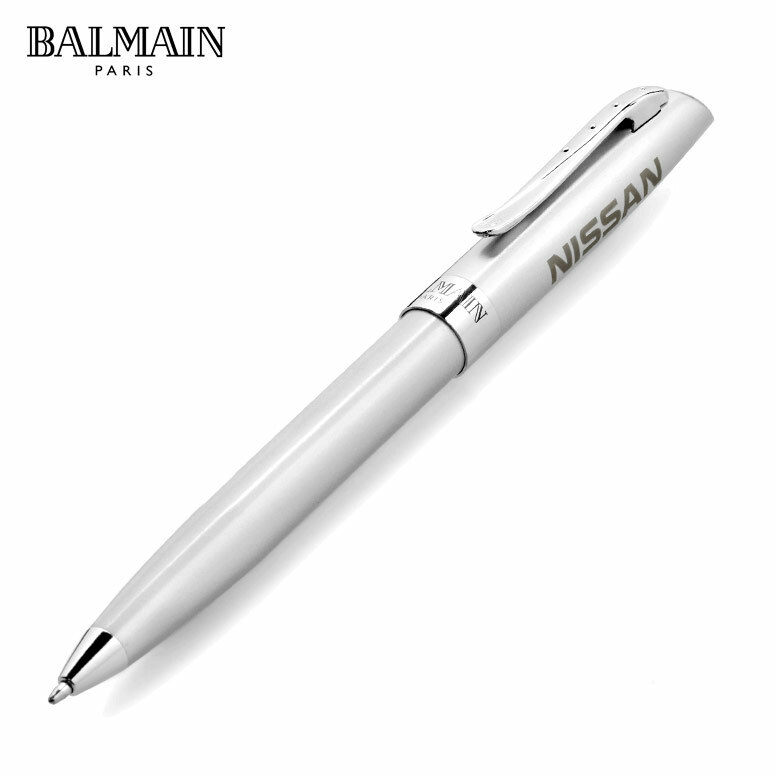 A great way to inspire and drive those around your company, a well timed present of such value can create a great positive vibe around your brand name. 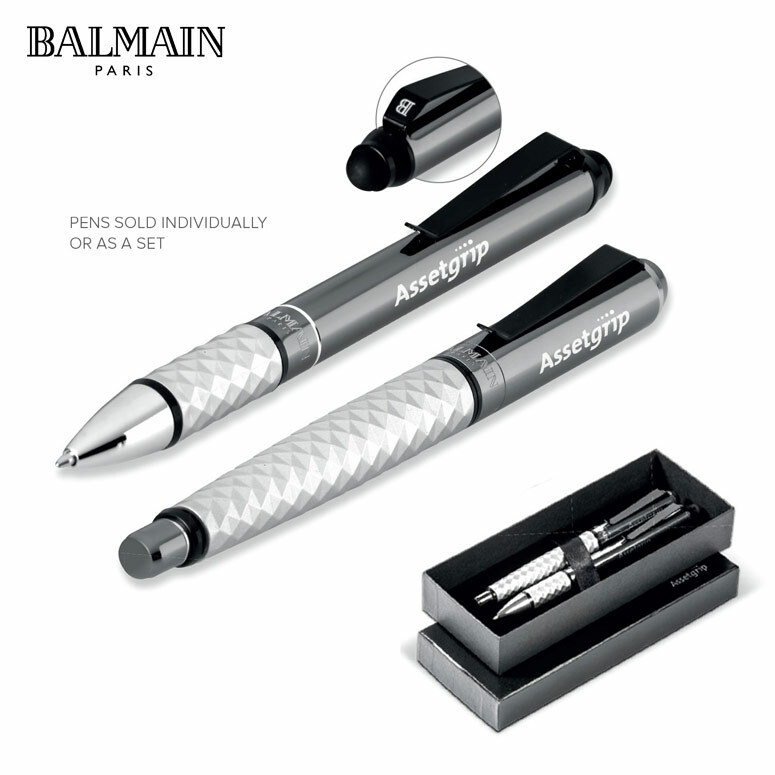 The Balmain Tactical Pen is also available in a Rollerball and Stylus Pen set.